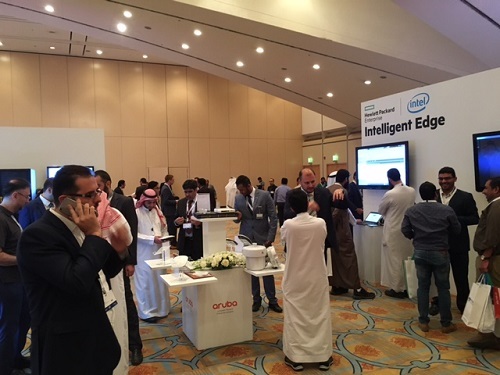 To help accelerate digital transformation, Hewlett Packard Enterprise hosted Reimagine 2017, a day-long event to discuss and address the growing needs of market leaders in Saudi Arabia to leverage opportunities and demonstrate agility in implementing innovation in Information Technology. Held at Al Faisaliah Hotel in Riyadh, the event presented solutions such as Hybrid IT, Intelligent Edge and Transformation Services, linking back to Saudi Arabia’s Vision 2030 that promotes the development of a strong digital infrastructure to support growing industries. The event was led by 22 thought leaders, who delivered insightful and in-depth perspectives and solutions to inspire and equip market leaders ready to drive the digital transformation within their respective organizations, ultimately driving the enhancement of industries and the economy. Over 750 representatives from leading public and private organizations attended the event and had access to keynote sessions, break-out discussions as well as demonstrations. The event also provided a platform to determine existing sentiment and efforts employed across market leaders through an on-site poll. The results indicated that a little more than half of the organizations represented through attendance have already set in motions plans for the digital transformation with a significant focus on Digital Enterprise and are investing in innovation. The results also indicated that there is good traction in the development of Internet of Things (IoT) based projects, with approximately a quarter of the respondents having projects underway. More than half of the responses indicated that IoT is still an option to be considered or are yet to determine their strategies. 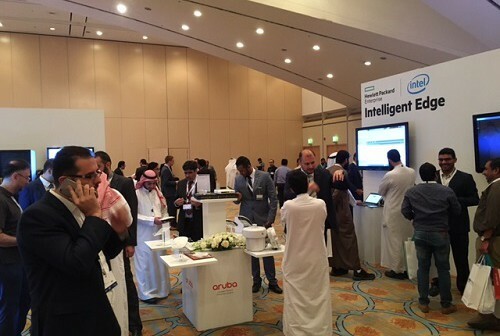 HPE continues to bring a wealth of global experience to the Saudi Arabian market. For more than 30 years, HPE has been the technology partner of choice for both public and private sectors in Saudi Arabia. “Hosting Reimagine 2017 in Riyadh is part of our continuous efforts to build synergies with our customers and partners in Saudi Arabia and gives us an opportunity to further understand the local market to deliver solutions that meet the national growth agenda. The positive feedback we received from attendees reaffirmed the need for more engagement and collective thinking to support the further enhancement of the digital economy,” concluded Al-Dhaher.